Ostbahn-Kurti & Die Chefpartie recorded Frank Zappa's 'Bobby Brown'. ostbahn-kurti & die chefpartie: a blede geschicht... oba uns is wuascht! Bobby Brown in that funny sounding Austrian language. 4 versions; almost the same except for the bleeps. 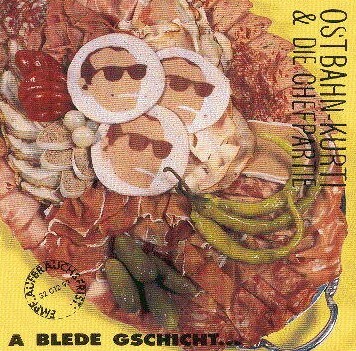 'Ostbahn-Kurti & Die Chefpartie' is an austrian party-rock band (from Vienna, I suppose) who play a lot of cover versions of party 'classics', among these is Bertl Braun alias Bobby Brown. Bertl Braun is a hilarious cover version! Dr Kurt sings in a funny austrian dialect and at the end of the song the band segues into... Brazil! You have to hear this! Note 1. What is actually sung on the CD is a little bit different from this. Note 2. It is not a translation of the Zappa text, but close.